Experience the pleasure of the road at Danbury Volkswagen. 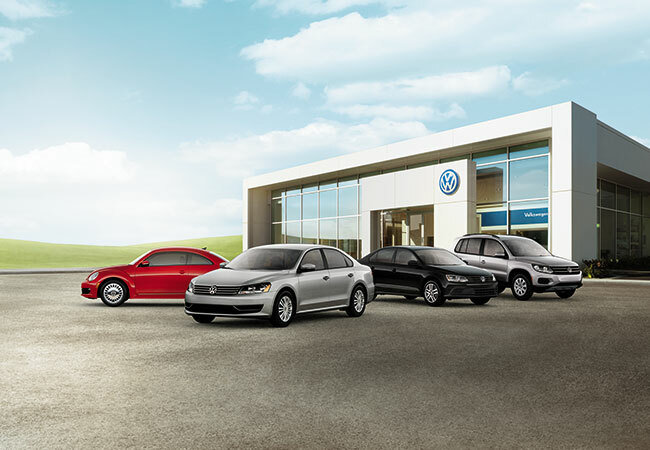 Stop by our showroom to talk to our finance professionals about a Volkswagen lease in Danbury, Connecticut. An auto lease is the perfect solution for anyone who loves to drive around town in the latest Volkswagen model. Plus, most lessees benefit from a smaller down payment and lower monthly fees. Treat yourself to an upgraded ride at Danbury Volkswagen today. The Volkswagen family of vehicles is yours to explore at Danbury Volkswagen. Lease a Volkswagen Passat, our eye-catching midsize sedan. Cruise around town in style in a sleek and spacious Volkswagen Tiguan. If you need a family-size SUV, test drive the fully loaded Volkswagen Atlas. For a fun and breezy ride, discover the excitement of the sporty Volkswagen Beetle Convertible. To find your next Volkswagen lease in Danbury, CT, come see the auto finance experts at Danbury Volkswagen. The finance professionals at Danbury Volkswagen can help you find your perfect auto financing solution. Whether you are interested in an auto loan, a car lease, or determining the trade in value of your vehicle, our finance team is happy to assist you. For more information about our financing options, contact the Danbury Volkswagen finance center.